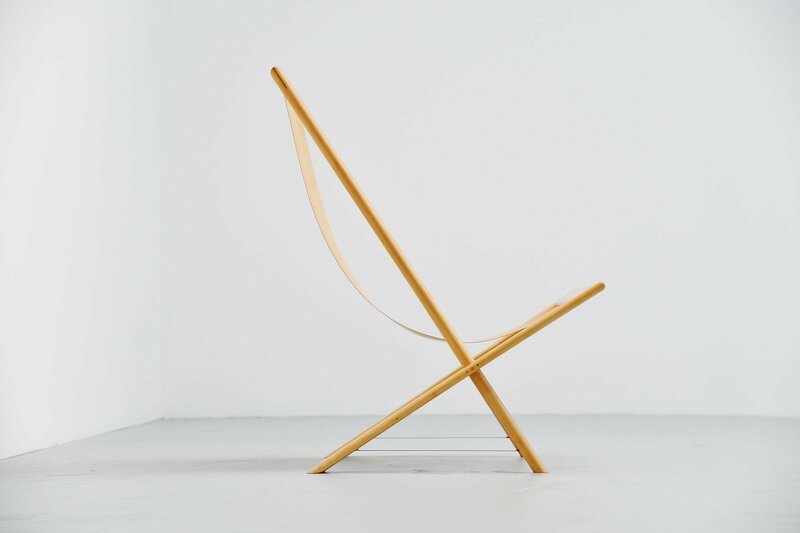 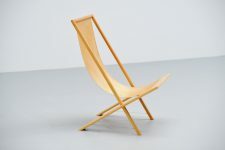 Very nice lounge chair designed and made by Frits Swart, Holland 1979. 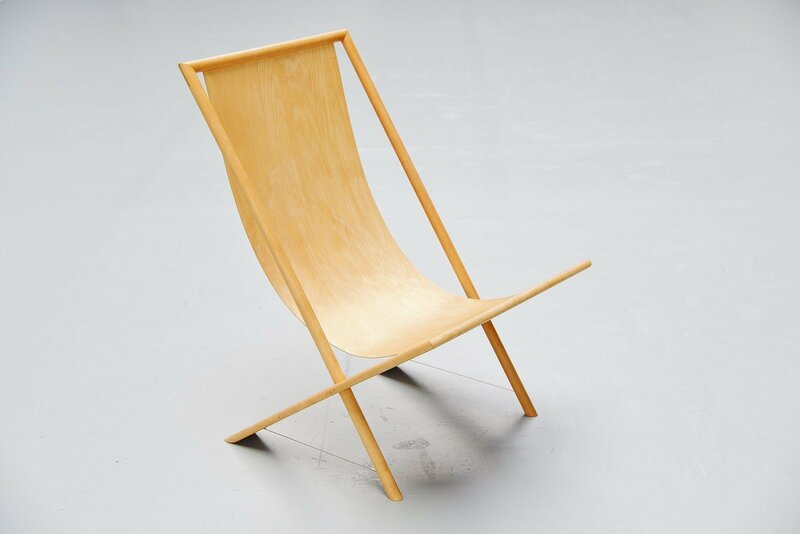 Frits swart was a poet and craftsman. 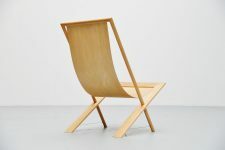 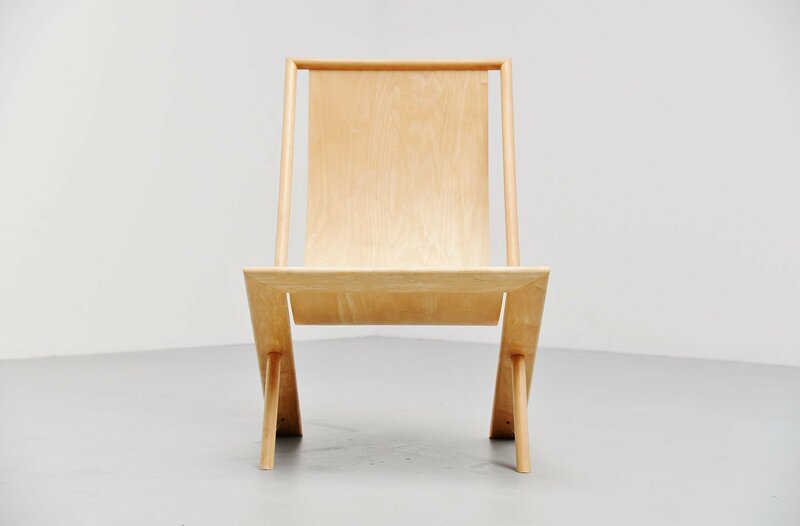 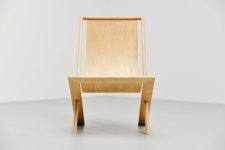 This chair has an amazing construction where a thin flexible plywood seat is fixed between the frame. 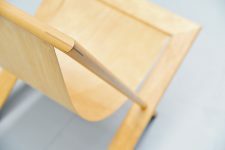 The legs are supported by a metal wire that nearly is invisible so therefor the chair is very sturdy and well made. 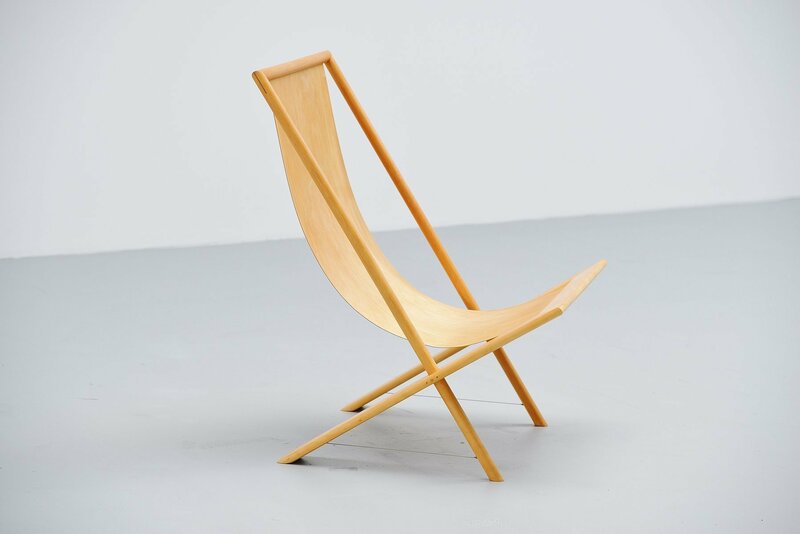 It is in excellent original condition as it has only been used as an artwork.